And on Tuesday both were in fine form again, with Messi scoring twice as Barcelona knocked out Manchester United. The surprise of the day, however, was Juventus and Ronaldo crashing out of the competition against a talented, young Ajax squad. Ronaldo got Juve’s lone goal in the 2-1 defeat and also scored in the first leg. 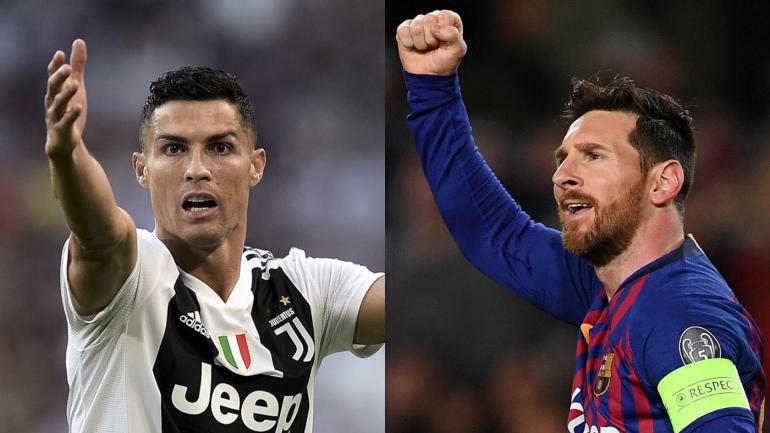 Tuesday marked just the fifth time both Messi and Ronaldo scored in the Champions League on the same day — and the first time since 2009. Ronaldo has been the king of UCL in more ways than one. He won the last three titles with Real Madrid, while also winning in 2013-14 and in 2007-08 with Manchester United. Expectations were still sky-high despite leaving Real Madrid for Juventus last summer, but Portuguese star could not compete with Ajax’s talented, young core and were left stunned. As a result, Ronaldo is stuck on five Champions League titles, giving Messi a chance to tie him. While Messi won the Champions League four times (2005-06, 2008-09, 2010-11 and 2014-15), his team has fallen well short of expectations over the last few seasons. The heartbreak of being eliminated came much earlier than imagined over the last three campaigns. Barca collapsed against Roma in the quarterfinals last season after blowing a 4-1 lead from the first leg. The season before that, Barca couldn’t score a goal against Juventus, again losing in the quarterfinals. And in 2016, it was once again heartbreak in the quarters, this time against Atletico Madrid, who went on to the final, losing to Ronaldo and Real Madrid. Fans have grown used to seeing Ronaldo alive in the Champions League at this point and Barca watching from home. But this season has been as unpredictable as ever — favorites such as Juventus, PSG and Bayern Munich couldn’t even sniff the semifinals. And that’s opened the door for clubs like Porto, Ajax and Tottenham to make a run. It’s also opened a door for Barcelona to make history behind Messi, who leads the competition with 10 goals. Their rivalry may not be as strong as when they were both playing in Spain, but they will forever be compared one next to another. If Barcelona wins the Champions League and Messi matches Ronaldo’s five UCL titles, the debate will rage on. And as long as the drive to be the best, better than the other, is still with them, there are more winners than just them and their teams. There’s everyone whose had the privilege to watch these two geniuses play.